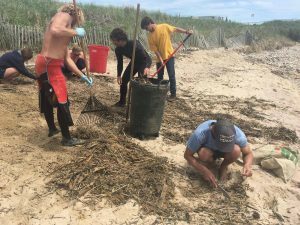 From beach cleanups and education programs, to chapter meetings and fundraisers, our chapter activists have been busy growing our network, planting new seeds and strengthening existing roots within the East End Community. In case you are wondering just what we’ve been up to, see our Summer 2017 Highlights below. Our chapter met at Mercado Resturant in Bridgehampton to regroup before a busy summer. Our chapter leaders led a discussion with over 30 community members about our ongoing campaigns and programs. Chapter meetings are a great way to become part of the conversation. 365 days a year Surfrider activists are out working hard to protect our ocean waves and beaches. June 17th was International Surfing Day, created to celebrate and recognize all of our hard work. We had a full day in Hampton Bays: we met early in the morning at Tiana Beach for a group surf, enjoyed some pizza, held a water quality education program with It Takes a Village Preschoolers. We cleaned up the beach, collected what seemed like thousands of cigarette butts, and over 100 balloons. We ended the evening with live music and art at Shuckers Lobster and Clam Bar. Stoked for next year! 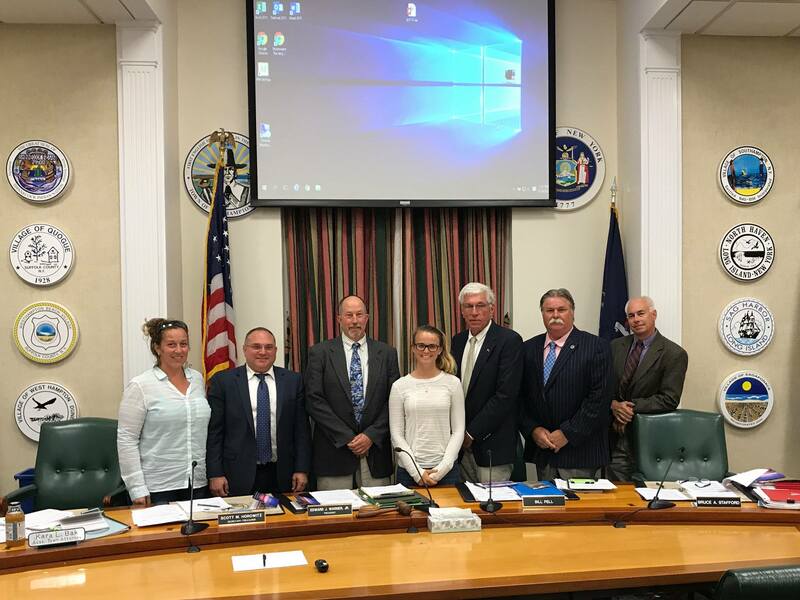 The Southampton Town Trustees invited us to their public meeting to formally thank our chapter and recognize our ceaseless efforts to protect barefoot-friendly beaches and the water quality within Southampton Town. We look forward to continuing to work together with the trustees to protect this beautiful place! 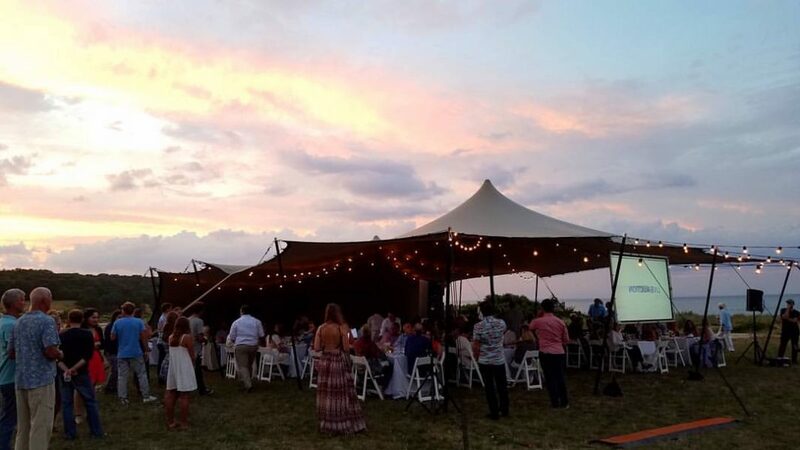 Two Coasts One Ocean is an annual fundraiser event that celebrates the work Surfrider Foundation has accomplished and the people who make that work possible. This is our chance to gather, raise awareness and funds that will protect our ocean. 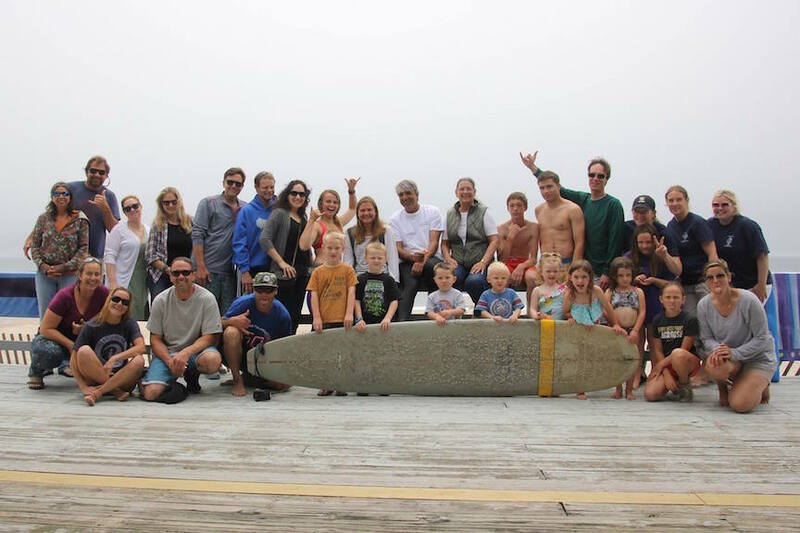 All proceeds are used to strengthen the Surfrider network, assuring that chapters have national support and guidance. And, the event was a blast. 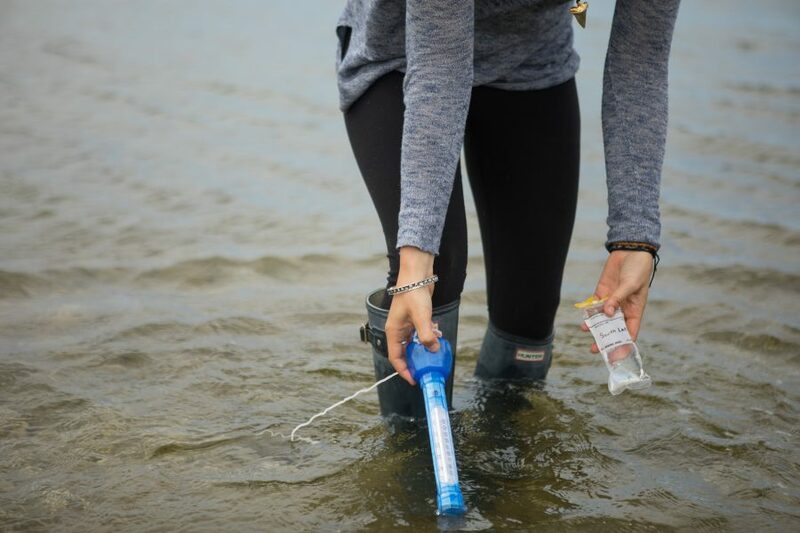 We looked back in time at the past three years of water quality data from June 2013 to October 2016, and uncovered some clear trends in our water quality data. See the full report here. Multiple press outlets including The East Hampton Star, and The Sag Harbor Express have covered the report. 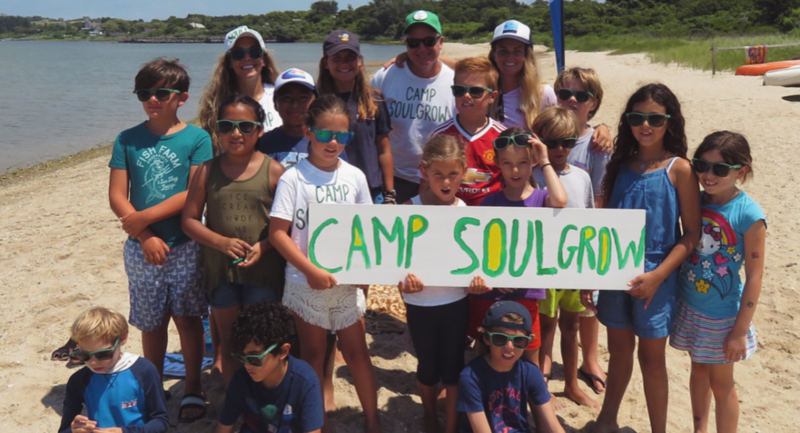 Camp SoulGrow is a donation-based, volunteer-run camp that encourages kids to go out into the community with confidence, try new things daily, and grow from the inside out. These children are inspired by their surroundings and were so excited to learn about water quality, plastic pollution, and what they can do to keep our beaches clean. On Tuesday, we met with the Montauk group at Lake Montauk, and on Thursday we met with the Hampton Bays group at Squiretown Park. We understand the importance of educating children about what our waterways provide us, and why it’s so crucial to protect what you love. THANK YOU for inspiring us! 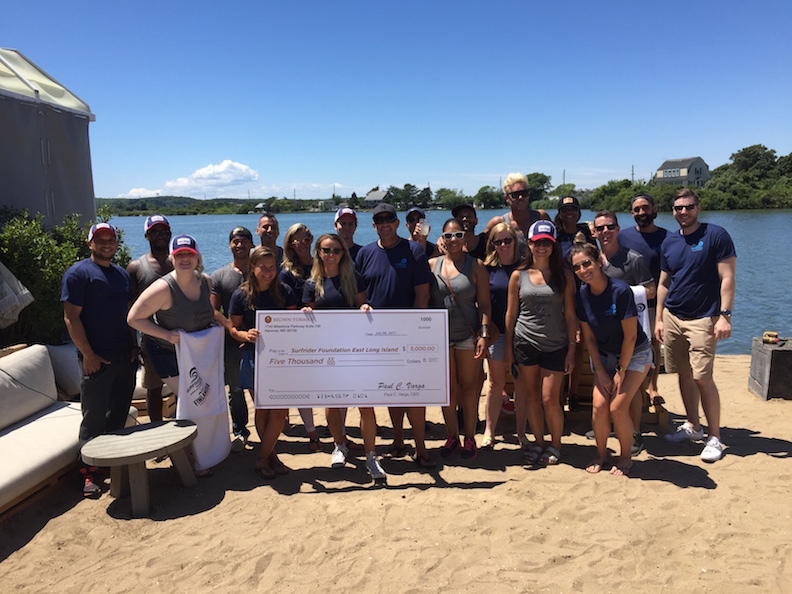 Every year we have a beach cleanup at Navy Beach with Finlandia and The Surf Lodge, This year, these two groups rallied people in the masses. 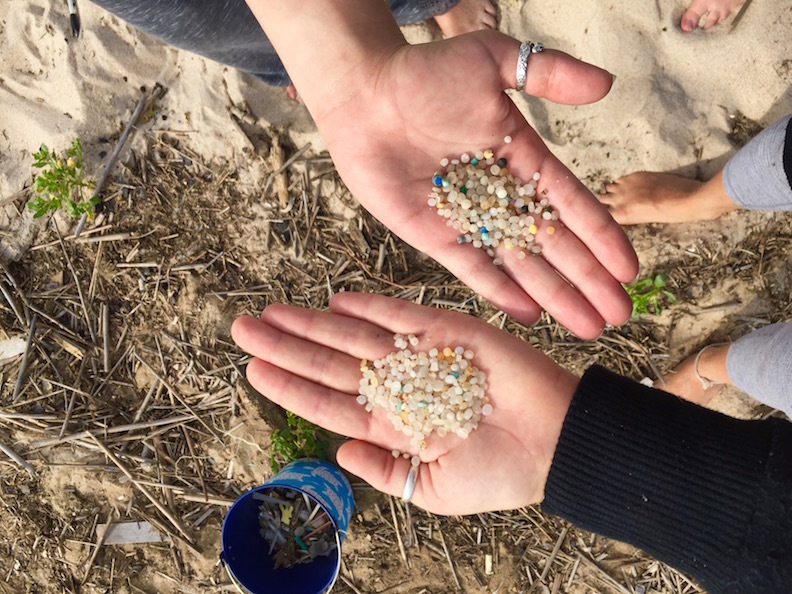 Bringing the community to a beach cleanup is in our opinion, the best way to encourage people to rise above plastics. The cleanup was followed by a plastics-free lunch on the driftwood deck at the Surf Lodge. We are overwhelmed with gratitude for the support Surfrider receives both nationally and on a local level from Finlandia and Brown Forman. Thank you so much for your generous donation. We look forward to working together in the future to defend our coastlines and promote a plastic-free lifestyle. 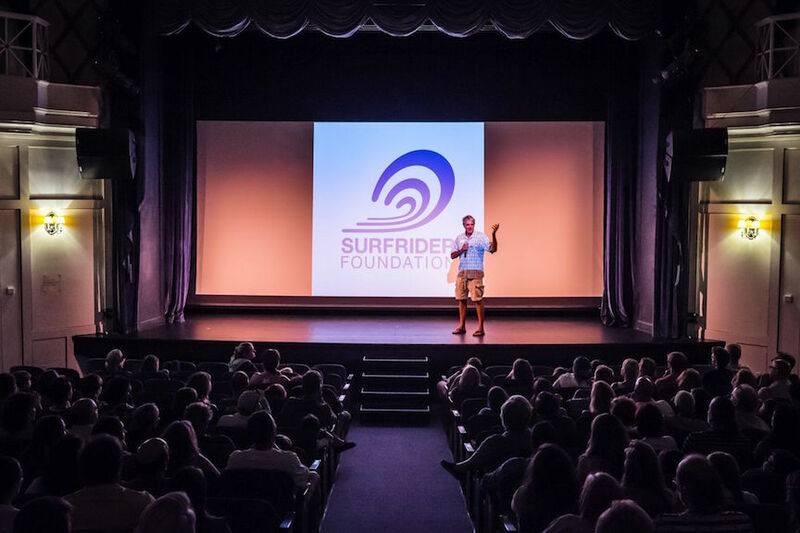 This August 2nd, Surfrider Foundation’s Eastern Long Island Chapter celebrated it’s fifteenth annual Surf Movie Night, the chapter’s primary fundraiser. Featured films included:”What are you Fighting For?” by the Surfrider Foundation, “Disorderly Conduct” by Gabe Reuben, and Patagonia’s “FISHPEOPLE” by Keith Molloy. Our raffle and silent auction offered community members countless ways to get out, get active and support local businesses on our coast. Proceeds go directly toward the chapter’s programs. This year’s Surf Movie Night was undoubtedly a success. Thank you for all who showed up and contributed! Our Blue Water Task Force summer intern, Robin Grathwol led an education program with the children from the South Fork Natural History Museum and Nature Center‘s Marine Science Summer camp. 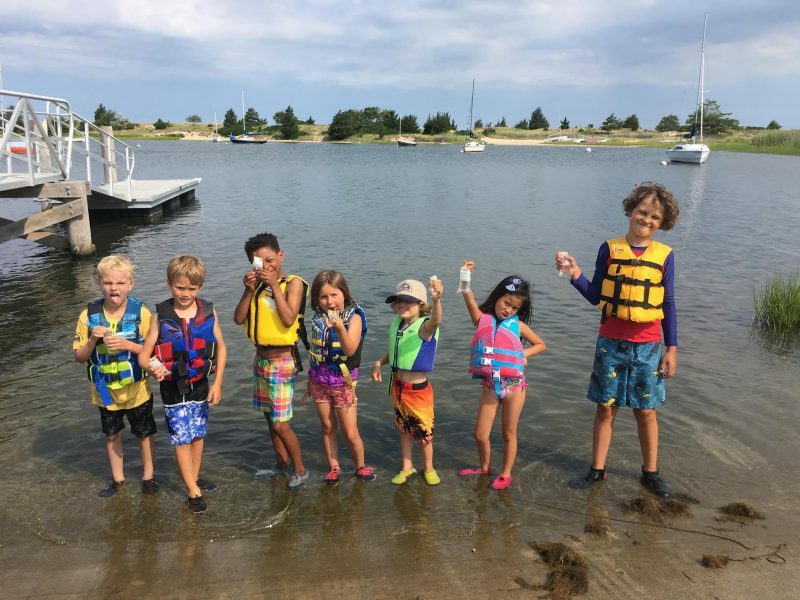 This colorful group learned about the ecology of the beach, how water quality affects marine life, and then they all learned to collect water quality samples! Teaming up with Main Beach Surf and Sport, we cleaned up Georgica Beach and Pond. What we found was more eye-opening than surprising. Nurdles. The same thing we found at the Ditch cleanup on June 9th with Coreyswave. So. Many. Nurdles. We also found 20 balloons, 104 bottle caps, 22 shotgun shells, 32 plastic straws, 6 plastic dental flossers, 6 tampon applicators, and 7 children’s toys, totaling in 144 pounds of trash between 8 people. Before the town opens the cut, we’d like to assemble another army to cleanup what we physically couldn’t.